and a box of one of my favourite chocolates- Toffifee. 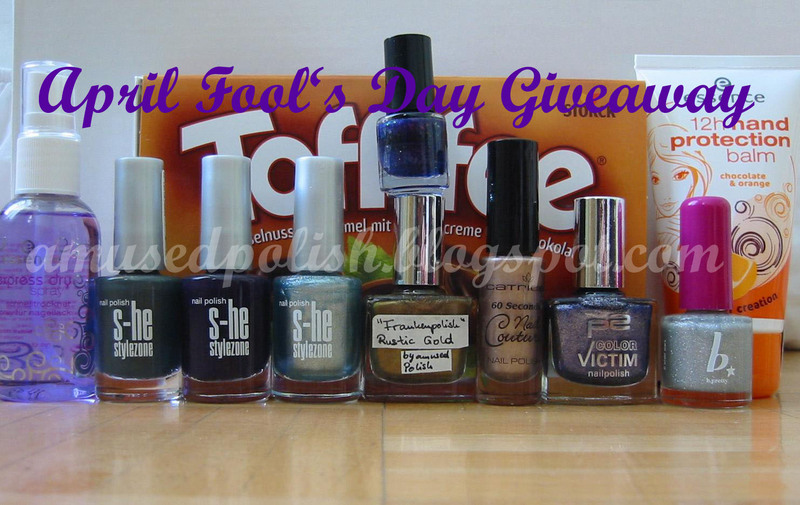 Fell free to use the picture above to blog, tweet or tell your friends about this giveaway. Or click here to see the full form because it doesn't show all the fields. Edit: Please don't submit your entries through the comments, they don't count as an entry. Also you don't need to write your e-mail adress in the comments, they appear in my spreadsheet and I'll delet the comments after the giveaway is over. I posted about your giveaway in my left sidebar. You did a lovely job putting it together. I'm a follower and I've entered your great giveaway. Lovely giveaway! I posted about this giveaway here, with pic. Thanks!